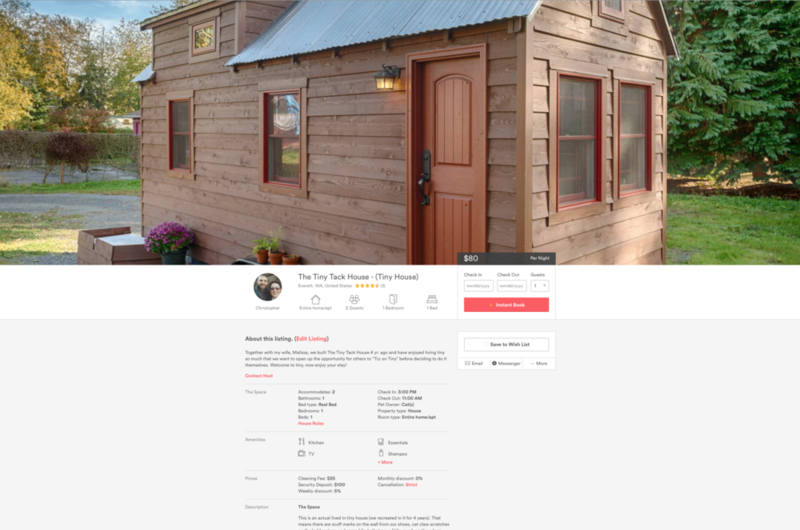 Rent The Tiny Tack House Now! For limited time, The Tiny Tack House is now available for rent. Head over to Airbnb and book your stay today! If you have questions regarding our Tiny House, please email either chris_tack@mac.com or malissa_tack@me.com for more info. Please do not send questions through Airbnb. We will only respond to bookings through Airbnb. Please email if you have questions aside from booking a stay with us. Thank you! Christopher has become known as the Tiny House Photographer, due to his ability to capture the beauty in smaller spaces. Christopher also enjoys photographing nature, weddings as well as special events. You can check out Christopher’s website to see more of his gift to capture beauty in all that he photographs. Malissa has a passion for designing functional smaller spaces in 3D. She works as a freelance 3D Artist in the greater Seattle area, and focuses her work on building smaller and smarter. Since designing and building her tiny house, she has inspired other in making their dreams a reality.